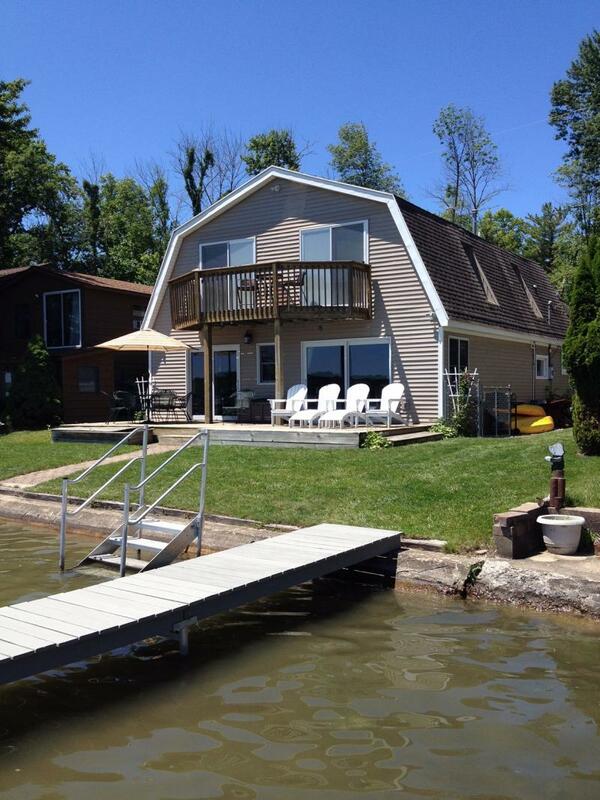 Come and enjoy beautiful Gun Lake with this 2 story - 4 bedroom 3 bath home! 1943sq.ft - central air -lakefront home - located on Yankee Springs State Park Peninsula - NW corner of East Gun Lake. Walk out the back door into the Yankee Springs Recreational Area with its sandy beaches, hiking and biking trails, fishing pier and campgrounds. 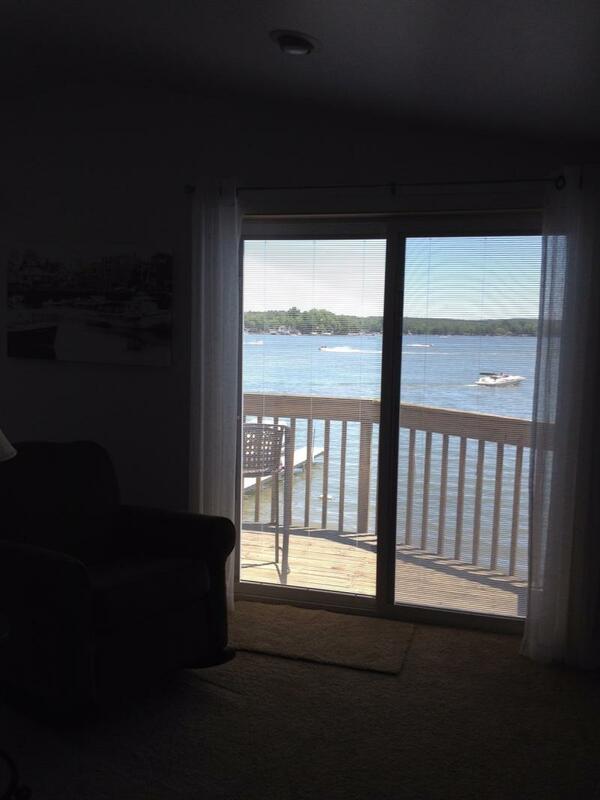 Walk out the front door and you have swimming and spectaclar views of East Gun Lake! Home features Main Floor Master Bedroom with Queen Size bed - private bath with whirlpool tub. Upper level: 1 bedroom with Queen size bed - 1 bedroom with day bed offering 2 twin beds and the last bedroom, facing the lake has 1 Queen size bed. Also a Queen Size sofa sleeper in living room -main floor! Home will comfortably sleeps 8-10 people! Linens & Towels provided! You may want to bring beach towels! The home is set up with Satelite TV. 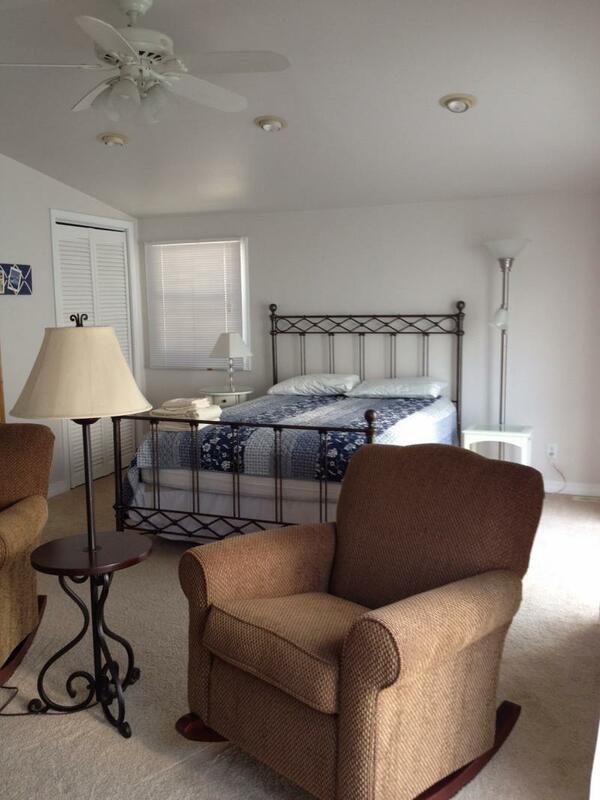 There is a 42" plasma flat screen TV with DVD player in the living room and also a TV in the large 2nd floor bedroom! There is no WiFi at this cottage! 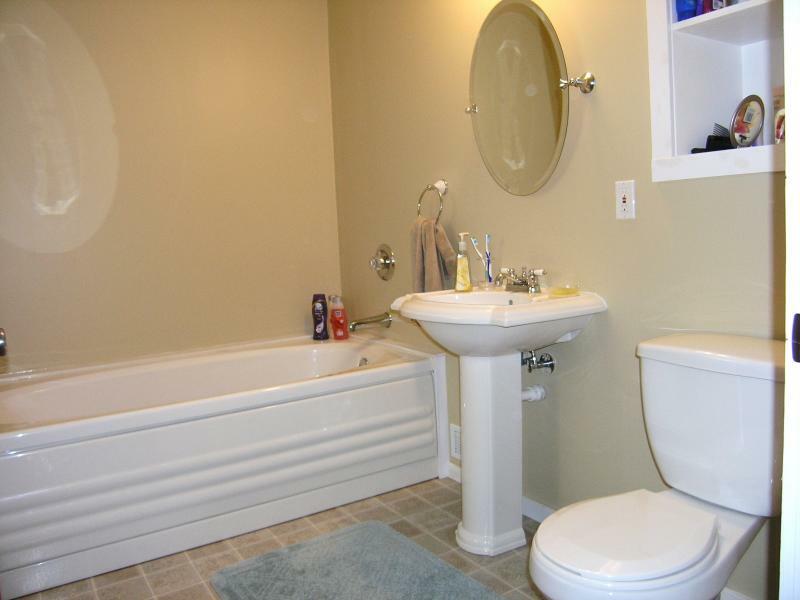 In addition to the master bath on main level, there is a bath with shower- upper level features a full bath with tub! Large living room with gas fireplace and 2 sets of sliding glass doors that open onto large deck! Fenced in side yard with sand box and picnic table - 4 Adirondack chairs, outdoor dinning table with 6 chairs, firepit located on road side of home & Charcoal Grill! with life jackets are provided to get you on the lake- you must sign a waiver for use! Several marinas do rent fishing boats and pontoon boats. The home features a fully equipped kitchen - recently updated with Gas Stove, Microwave & Ref. -all small appliances including toaster, blender, coffee maker-pots & pans, dishes, silverware and washer & dryer! Fire pit on the road side of home! Parking for 2 cars directly behind home with 2 additional parking spots across street! No Smoking - No Pets! Please don't call and ask about your pet! Weekly Rate: Check Schedule - Top Right of this page! Damage Deposit of $400 for all weeks! Check-In after 3:00pm -Check-out before 10:00am -Damage Deposit is refunded within 15 days of your departure from cottage with all being left in good condition! Damagae Deposit refunded ONLY with 60 days or more cancellation prior to your arrival date! If not cancelling - rental amount is due 60 days prior to arrival date! 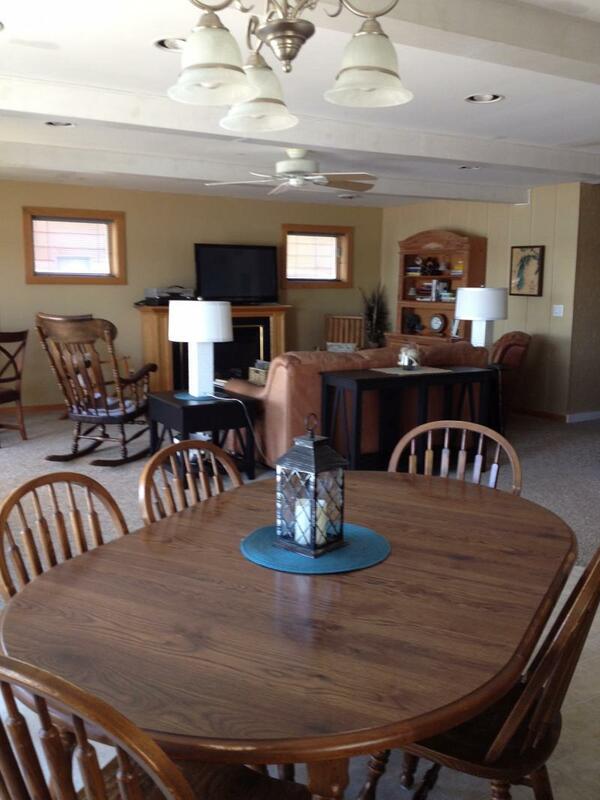 Living Room and Dining Area! Master Suite bath! Main Floor! Recently Updated Kitchen - Side-by-Side Ref. & Electric Stove! faces the lake with a small balcony! View of lake and balcony from bedroom! Kitchen with plenty of storage and side-by-side Ref. Electric Stove -Dishwasher-Microwave & Snack Bar! Queen Size Bedroom -Upper Level! Upper Level 2nd Bedroom with Daybed ( 2 twins). Upper level 3rd Bedroom - Queen Size Bed!